We are delighted to welcome author Cherie Priest as our GoH in 2020. 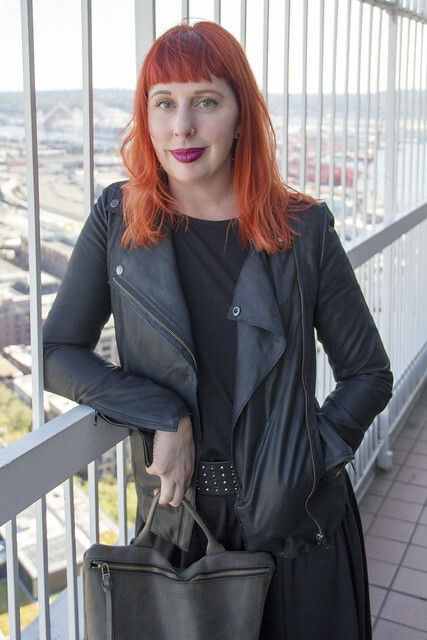 Seattle is featured prominently in her influential steampunk novel Boneshaker. Cherie Priest is the author of nearly two dozen books and novellas, most recently modern horror project Brimstone and haunted house thriller The Family Plot – as well as the hit young adult project I Am Princess X. 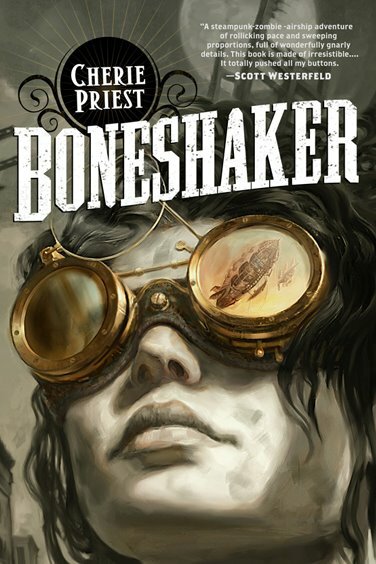 But she is perhaps best known for the steampunk pulp adventures of the Clockwork Century, beginning with Boneshaker. She has been nominated for the Hugo Award and the Nebula Award, and the Locus award – which she won with Boneshaker. Cherie has also written a number of urban fantasy titles, and composed several pieces (large and small) for George R. R. Martin’s shared world universe, the Wild Cards. Her short stories and nonfiction articles have appeared in such fine publications as Weird Tales, Publishers Weekly, and numerous anthologies – and her books have been translated into nine languages in eleven countries. Although she was born in Florida on the day Jimmy Hoffa disappeared, for the last twenty years Cherie has largely divided her time between Chattanooga, TN, and Seattle, WA – where she presently lives with her husband and a menagerie of exceedingly photogenic pets. Her most recent non-writing project is the loving restoration of a late mid-century modern named Rockford Place (because she loves James Garner). Foolscap Feedback - Now with Prizes! What did you enjoy from Foolscap 2019? What would you would change for Foolscap 2020? I had a great time at Foolscap 2019, and I appreciate all of you who helped make it a great weekend. Particular thanks to Nancy Kress, our wonderful GoH who really embraced the spirit of Foolscap. I had good discussions, learned some things, picked up some good books and even more good book recommendations, and even managed to put in a few puzzle pieces. It was a privilege and a pleasure to serve you as Captain for the past two years. I’m handing on the Captaincy to Doug Beal, who makes everything work better, so I’m expecting to enjoy Foolscap 2020 even more. See you all next year! Foolscap came to my attention when Ursula Vernon mentioned she was the GoH in 2015. But it captured my heart with panels like "Lawn Crayfish are Real (and other weird nature stuff)" and "Craft 'n Meet". Soon I was helping with tear down, decompressing at a post con meal, and helping out on the concom. In my eyes, Open Programming really elevates the experience at Foolscap from other conventions. We weathered some rough times together and came through stronger. I look forward to continuing Foolscap's proud traditions. Foolscap 2020 will return to the Hilton Seattle Airport on the second weekend in February (7th through 9th). We’d like to thank Nancy Kress for her graceful turn as Foolscap Guest of Honor. She managed to out-Foolscap Foolscap with her reading and ensuing discussion of the roles of stories in affirming or challenging our ethical worldviews. As fitting for our theme of Coming of Age, Nancy provides a great example of adulthood both in her works and in her personality. I hope I grow up to be cool like her! We really enjoyed last year’s music party, and we’d like to do it again. Please be on the lookout for songs to bring to our BYOM event on Friday night. We’ll provide some snacks and you bring the tunes. Do you have some good ideas for panel discussions? Did another con have a panel that left all the questions unanswered? Did you discover something amazing this year that everyone needs to know more about? Do you have nebulous ideas that only intelligent conversation will bring into the light? Do you have a rant that needs honing? Bring these ideas to to Foolscap and present them at the program planning session. (You can present them in person or just turn them in for others to read). Open Space Generation is at 11:00 AM on Saturday! Got friends who are still on the fence about Foolscap? Bring them down to try it! We don’t want money to be the thing that keeps folks from being a part of the community at Foolscap, so this year we’re piloting sliding scale one-day memberships. Our one-day memberships are $25, but this year we’re making them available on site only on a sliding scale basis, for any amount of $10 or more. Bring your friends! Come spend a day with us and learn what makes Foolscap unique! email workshop@foolscap.org to register for the workshop. We are delighted to welcome author Nancy Kress as our GoH in 2019. Nancy Kress is the author of thirty-three books, including twenty-six novels, four collections of short stories, and three books on writing. Her work has won six Nebulas, two Hugos, a Sturgeon, and the John W. Campbell Memorial Award. Her most recent work is TERRAN TOMORROW, the conclusion of her YESTERDAY’S KIN series. Like much of her work, this series concerns genetic engineering. Kress’s fiction has been translated into Swedish, Danish, French, Italian, German, Spanish, Polish, Croatian, Chinese, Lithuanian, Romanian, Japanese, Korean, Hebrew, Russian, and Klingon, none of which she can read. In addition to writing, Kress often teaches at various venues around the country and abroad, including a visiting lectureship at the University of Leipzig, a 2017 writing class in Beijing, and the annual intensive workshop Tao Toolbox, which she teaches every summer with Walter Jon Williams. For an added bonus, Nancy comes with Jack Skillingstead, her husband and a writer in his own right, with three novels and over forty short stories to his bibliography.